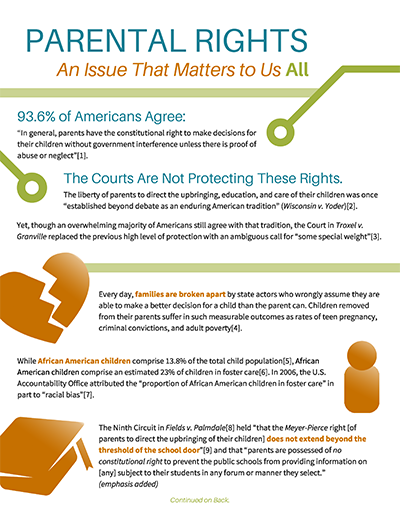 Thank you for helping us spread the word about parental rights! 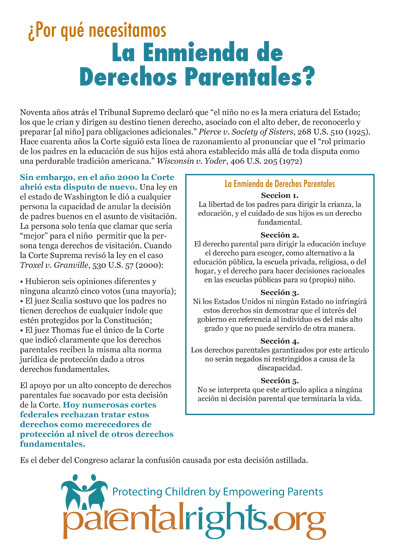 Please feel free to print and distribute these as you need at events, churches, conferences, meetings, etc. Note: We are in the process of updating our materials to match our new site design and colors. Please check back soon, as we plan to continue to add more resources as we update them. 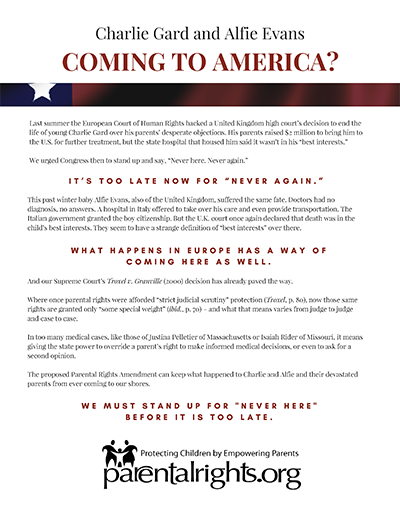 A 15-page document by Michael Farris exploring the confused character of parental rights in the aftermath of Troxel. 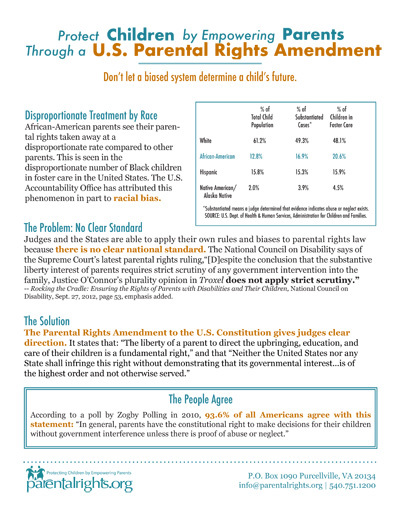 A 2010 poll showing that 93% of all Americans from any political party believe in the traditional right of parents to make decisions on behalf of their children (except in cases of abuse or neglect). 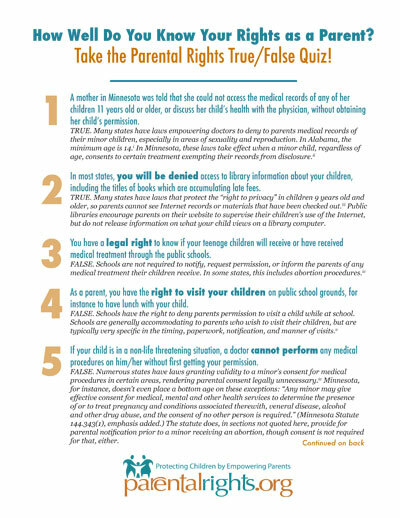 Model language for a state bill protecting the rights of parents. 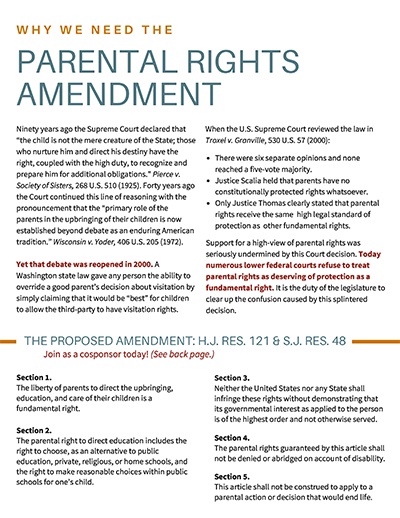 Model language for a state resolution in support of the Parental Rights Amendment, in pdf format. For an easy-to-edit docx format, please click here. 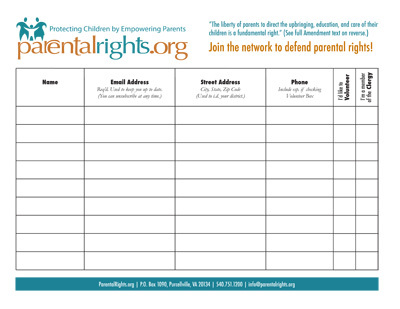 Please feel free to use these images on websites, blogs, social media, etc., to link to ParentalRights.org and let others know about parental rights. You can also find additional images on our Facebook page. Please check back soon, as we plan to add more images.